There once was a man who said ‘Damn! Not acquiring a pair of Björn Borg underthings. Because when you wear them, you’re no longer bare. 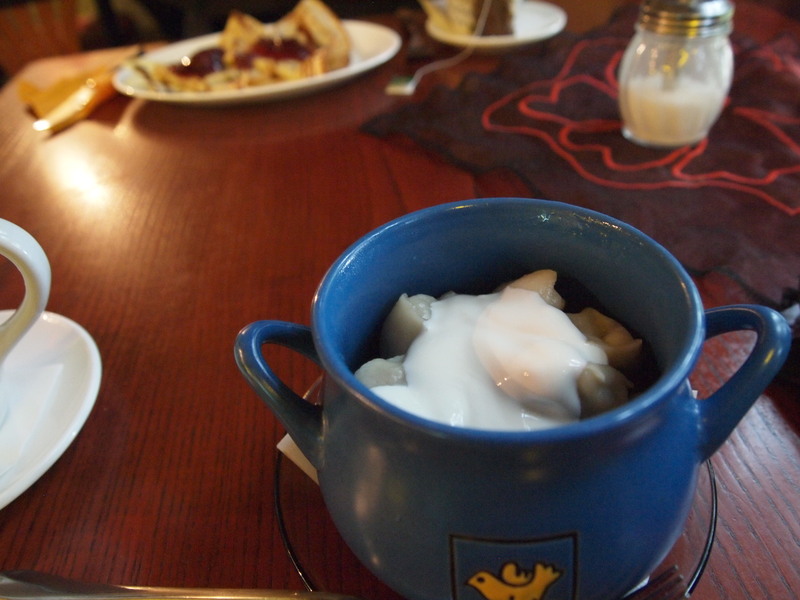 Dumplings — in an exceedingly endearing cafe in Tartu, Estonia. These dumplings are virtually identical to the ones I eat at home in flavor and texture (pork and cabbage, I think), with one major exception: instead of Chinkiang (black rice vinegar) for acidity, sour cream is added. eta: I have no way of knowing whether the cafe proprietor got some of Ling Ling’s finest frozen dumplings and boiled them according to the package instructions, or if these are a locally-originated thing, but I think the use of sour cream makes it different enough to note.